Net-zero energy homes and buildings are within reach – people across Canada and around the world are already building them and living in them. Wildsight’s net-zero speaker series brings experienced net-zero builders to Kimberley and Cranbrook to share their knowledge about how we can make our buildings sustainable in the long term, while living more comfortably and in a healthier environment. Even in our cold climate, we can have buildings that generate as much energy with solar PV as they use in a year. Early in 2016 we hosted public one-hour presentations and half-day professional sessions thanks to financial support from the Columbia Basin Trust. Shafraaz started off studying Engineering and decided he would much rather draw than do Calculus. After completing a Bachelor’s Degree in Environmental Design Studies, he finished his Master of Architecture degree at Dalhousie University. He is a founding Member of the Media, Art and Design Exposed (M.A.D.E.) in Edmonton Society which creates public programs that bring design, art and architecture to the public. 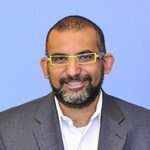 Shafraaz is a founding member of the Edmonton Design Committee, a project review panel for downtown Edmonton. He finds time to write for the Edmonton Journal, and has been a regular contributor to Canadian Architect, AZURE, Canadian Interiors and Avenue magazines. Shafraaz’s presentation is Chasing Net Zero: Lessons learned from designing and building a net zero-ready home in Edmonton using passive design principles. Shafraaz will share his experience creating a unique home that is low-tech but provides high-performance. His experience builds upon lessons learned from the Equilibrium Housing program and from advice to keep it simple. He also will share what he’d do differently if he could do it all over again. Murray founded three companies that specialize in delivering high performance building project through the adoption of lean and more integrated project delivery processes. We believe that with the right team we canachieve much higher levels of performance at less cost and do our part to minimize resource and energy use in the building sector. 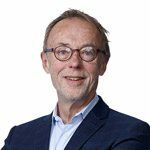 To demonstrate that high performance sustainable buildings are economically viable, Murray and his team deliver some of our industries most progressive projects including Living Building Challenge and Net Zero targeted projects. We also provide commissioning, design and energy management services to improve the financial and sustainable performance of existing buildings. Murray is a member of LCI, CaGBC and sits on the board of the recently formed LCI – Canada. He recently created Lean Lab to address the shortage of good training and coaching on the implementation of the Lean Project Delivery system. Learn more about EcoSmart and their duplex project. Early adopters of Lean Project Delivery (LPD) are demonstrating that we can have our cake and eat it too – higher performance at less cost. By adopting lean and more integrated practices Teams are able to delivery Net Zero buildings at very little if any additional cost as demonstrated on five Net Zero projects. In this presentation we will make business case for LPD and a Net Zero energy standard. We will also explore the strategies that enabled the Mosaic Center, Okanagan College and EcoSmart Developments to demonstrate that Net 0-0 works. Jori, born and raised near Davos, Switzerland, immigrated to Canada in 1965. He’s a retired journeyman electrician and electrical contractor who has worked on a broad spectrum of projects including robotics and in the solar industry in California in the 1980s. He has completed a couple solar projects in Kimberley in the last eight years and recently built his own solar home on the Selkirk Hill in Kimberley. 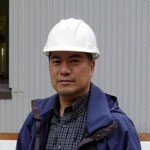 Arthur Lo has over 20 years of experience in designing and building energy-efficient low-rise residential buildings in the Lower Mainland, BC and currently runs Insightful Healthy Homes. Through these years, Arthur has won many awards for his technical excellence and has worked with CMHC, NRCan and CHBA in delivering technical training programs. In 2010, Arthur set up the team behind Harmony House, a net-zero energy home project under the EQuilibrium program by CMHC. Currently, he is working on several high-performance projects including the first market-oriented net zero energy townhomes project in BC and a Living Building Challenge (full petal certification) single-family home in Vancouver, both of which he will cover in his presentation. Dave Spencer is a landscape architect with over 35 years’ experience in the planning and design of municipal infrastructure projects, resorts, urban parks, campuses and residential communities. 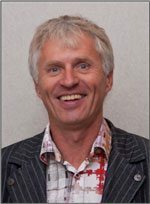 He is a founding partner and designer of the EchoHaven low impact and sustainable neighbourhood in Rocky Ridge, Calgary. EchoHaven is arguably the most sustainable residential community on Canada. Dave and his wife Debbie developed the design for a Net Zero home which became one of the 13 Canadian homes selected for the CMHC EQuilibrium demonstration program in 2009. They built the house and the family has been living there since June 2011 while the house has been monitored for energy, air quality and water conservation. For more than 35 years Dave has designed transportation, urban design, corporate, and campus projects. 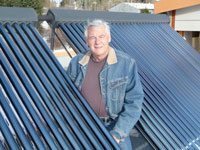 Dave is a founding board member of the Alberta Solar Coop, established to promoting and constructing renewable energy farms in Alberta and making the benefits available to anyone. Dave’s home is built with R60 walls, R100 roof, and generates 60% of its heat through passive solar energy. The home is a true net-zero house, with Dave and his wife actually receiving a net payment for the electricity generated in some years. Learn more about Dave, EchoHaven, and his home at Green Energy Futures. 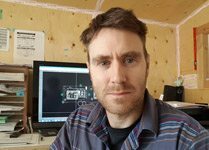 Jan Pratschke is a Cad designer, draftsperson, estimator, project manager and apprentice carpenter. He works as one of a team of 4 in Invermere, BC, who are committed to building homes and buildings which use less energy by using 3D integrated design, innovative manufacturing techniques, and high performance materials. Collective Carpentry has built numerous high performance homes in the Columbia Valley, as well as building envelope packages for certified Passive Houses throughout BC. Collective Carpentry is “locking in” their homes to the highest energy efficiency and sustainability standards. They manufacture high performance building envelope systems in their factory in Invermere, marketing their panelized products to home builders, general contractors, architects and developers. The company is a general contractor as well and handles projects from start to finish in their local area. With a focus on using Passive House planning, design and building as a means to energy efficient building, the company is committed to making high performance (low energy) building attainable and mainstream. In an effort to reduce their planning, design and construction costs, they are introducing a line-up of pre designed, high performance, homes which are based on a standard platform of simple and moderately sized designs, with highly customizable options.